I took a short break from watching the SS2013 shows and to recuperate from a long week to dine at this newly opened restaurant here in Singapore. It's called & Made by Michelin star chef Bruno Menard. And yes I pigged out. Well, that's what happens when I'm stressed - I stuff myself with food! 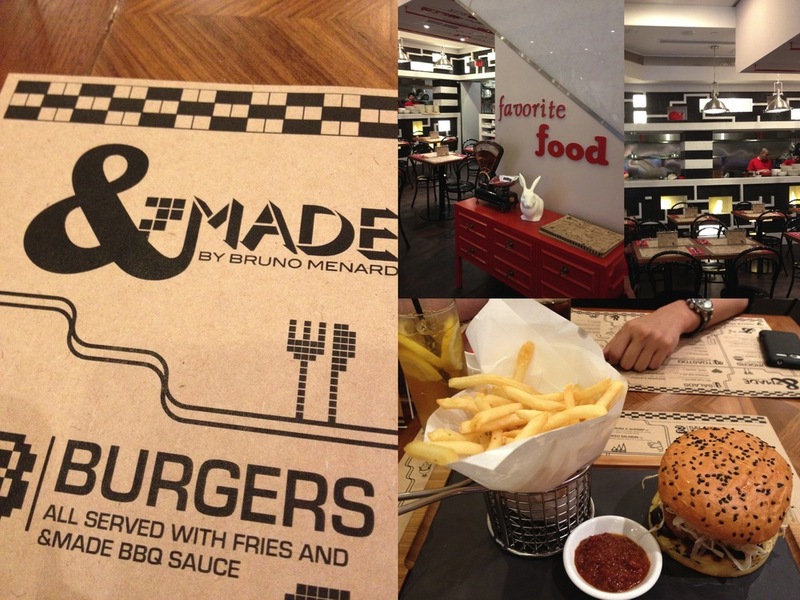 The burgers were ok, but the truffle fries and desserts were divine. What made the experience even more enticing was the company, so if you're looking for a good place to catch up with friends, this is definitely a place to go. After late lunch, I went on to visit the newly opened Carven store here located in Ion Orchard. And I must say I fell in love. The pieces were amazing and I saw a lot of things that I would've worn to the shows had I been able to attend this year. There was this gorgeous faux fur round-neck sweater in a luscious turquoise color that is to die for! Retailing for SGD 390, it honestly is an amazing deal for something so fashionable. Now if only it weren't as hot as summer here in Singapore all year long. Maybe it's time to think up of a trip somewhere cold no? Anyway, I stopped myself from purchasing it, but I'm still in deep contemplation. What do you guys think? Yay or nay? Maybe I should just distract myself from buying this by reviewing the shows again no?